Weekend Open Forum: Have you met anyone famous? Facebook and the University of Milan conducted a study earlier this year to determine the validity of the “six degrees of separation” concept – that each person on the planet is only six steps away, by way of introduction, from anyone else. You know, the whole “friend of a friend” bit. The study concluded that users of the social networking site are actually only separated by 4.74 degrees. Modern communication and transportation methods make it easier than ever for individuals to get out and meet others. In fact, it’s highly likely that you’ve even met someone of significance in your lifetime – perhaps a former president, music artist, philantropist, influential businessman, actor or pro athlete. I’ve met a few noteworthy people in my relatively short lifetime. 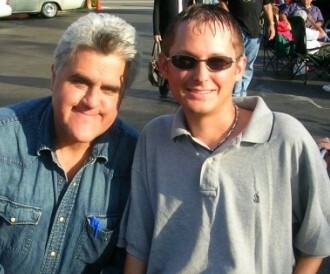 I bumped into comedian Jay Leno at a monthly car show during a vacation to Los Angeles several years ago. While in college at the University of Mississippi I had the opportunity to meet eventual New York Giants quarterback and eventual Super Bowl MVP Eli Manning. During that same year I lived in the athletic dorm next door to one of the nicest guys I’ve ever met – current San Francisco 49ers linebacker Patrick Willis. Whoever it is for you, we want to hear about it in this week’s Weekend Open Forum!